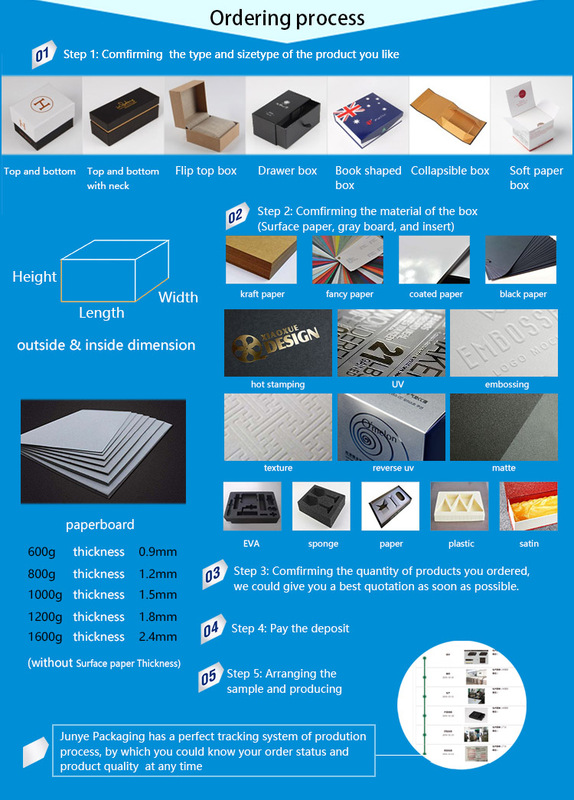 The paper box ideal for Cosmetic.Packaging box and add great value for your cosmetics. 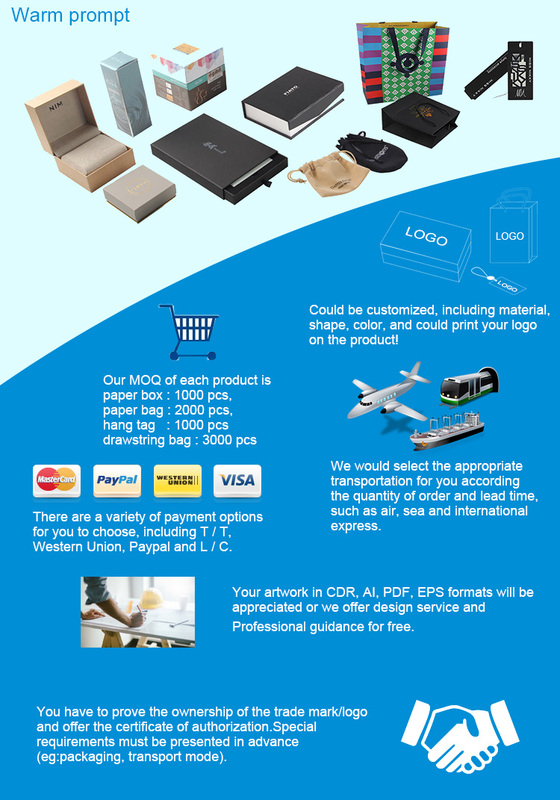 MOQ 3000 Unit/Units Accept OEM/ODM!!! Accessories Holder inserted(EVA,Blister,paperboard) ,Printed paper card tray insert. We make all types of cosmetic packaging boxes. Our factory can produce the cosmetic boxes based on your requirements,printed cosmetic boxes,colour cosmetic boxes,etc.Our packaging will add great value for your cosmetics.If you interested please contact us. 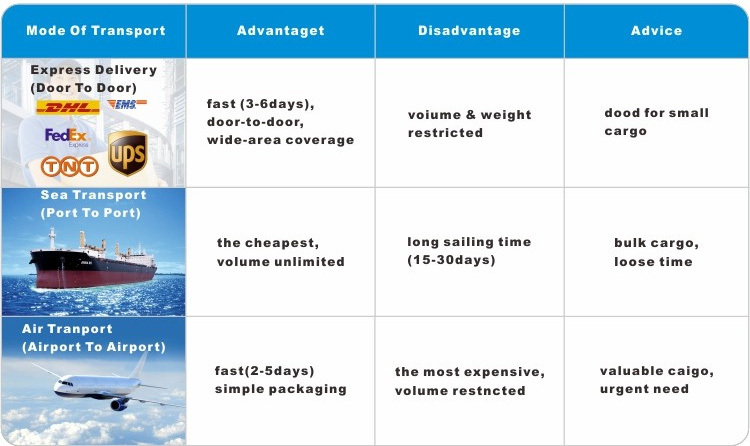 Junye packaging specialized techniques could help create a big differentiation with other Competitor packaging, such as varnish, lamination, hot foil stamping and embossing. Besides, silk-screen printing technique, offset printing technique are also available. 4 color(s) printing technique allows you choose any pantone color on your cosmetic packaging. Solid packaging boxes for cosmetic are predominantly used for point of sale – to enhance your cosmetic product when it appears on a retailers shelf, to make it look more inviting to a potential purchaser and to give it some degree of protection. 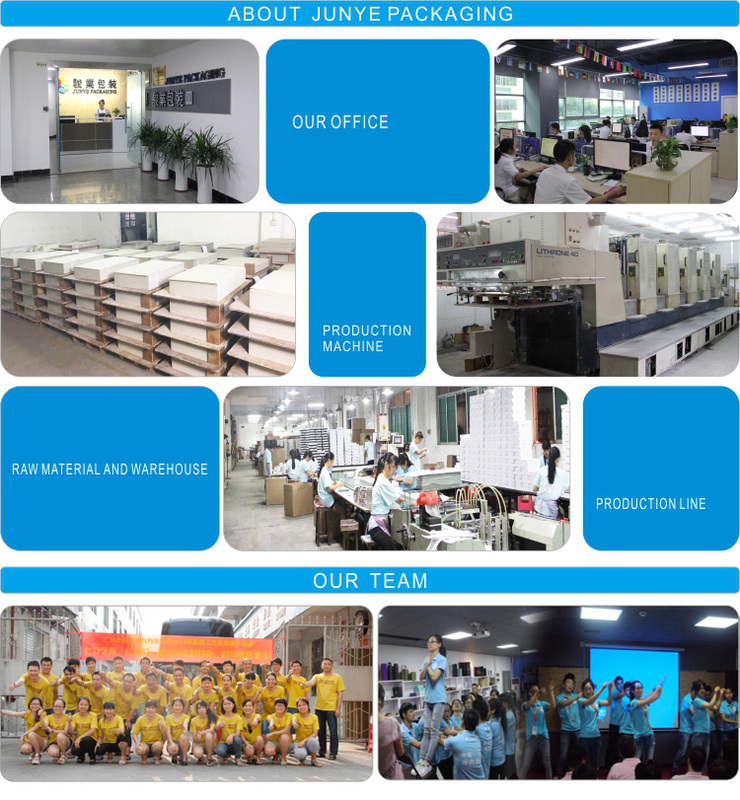 Provide professional service with over 17 years experience in packaging industrial. Offer one-step service from design, production to delivery. We formally passed the certification of TUV,BV,SGS and WCA.